Select Account Settings from the Tools menu. Click the Add Mail Account button in the bottom-left corner of the window. Type in your Name, Email Address and Password. 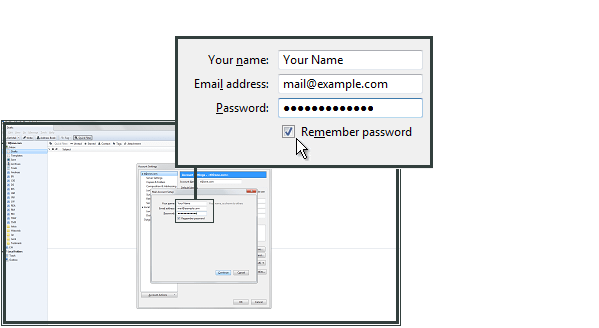 Your Name will be the name appearing, when people receive emails sent through Thunderbird. 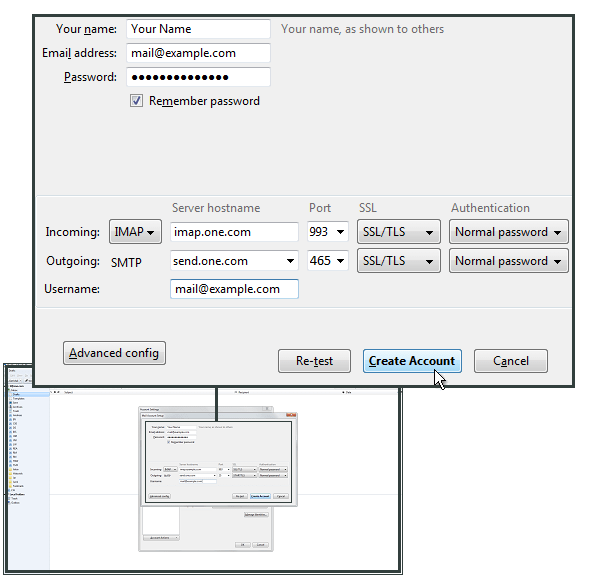 Email Address is your email address created in your control panel. In this example we use mail@example.com where example.com should be your own domain name. 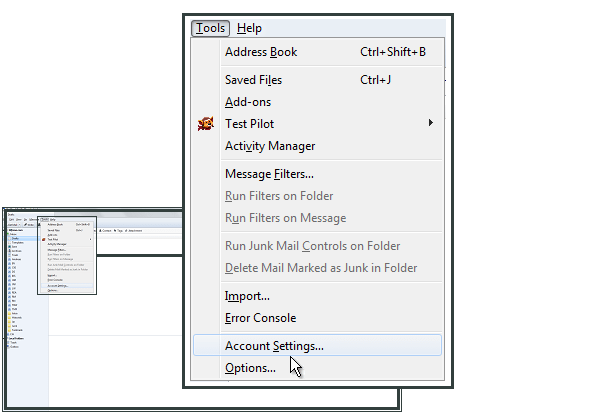 Thunderbird will now look up the settings for your email account. Click Stop and then Manual Config to interrupt the automatic setup. For Incoming hostname enter imap.one.com and port 993. Select SSL/TLS and Normal Password. For Outgoing hostname enter send.one.com and port 465. Select SSL/TLS and Normal Password. For Username enter your email address. Then click Create Account. Click OK to finish setup. Where can I find the server settings in Outlook 2016?